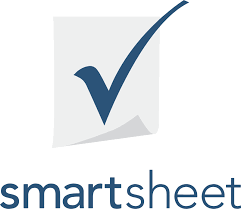 Smartsheet Inc (NYSE: SMAR) stock fell over 2.7% on 4th December, 2018 (Source: Google finance) on lower than expected performance. Non-GAAP net loss was $9.4 million, compared to non-GAAP net loss of $9.3 million in the third quarter of fiscal 2018. Non-GAAP net loss per share was $0.09, compared to non-GAAP net loss per share of $0.11 in the third quarter of fiscal 2018. Net operating cash flow was positive $2.4 million, compared to net operating cash flow of negative $2.4 million in the third quarter of fiscal 2018. Net free cash flow was negative $2.0 million, compared to negative $5.2 million in the third quarter of fiscal 2018. For the fourth quarter, Smartsheet expects an adjusted loss of 15 cents to 13 cents a share on revenue of $49 million to $50 million, while analysts had forecast a loss of 16 cents a share on revenue of $44.1 million.